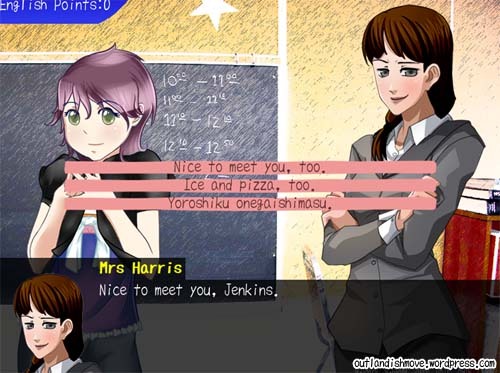 Outlandish Move is a free visual novel written for Japanese students of English. The players character takes an unexpected journey in which they are forced to use English, in many ways their survival depends on it. With twenty possible outcomes, the story will flow based on the decisions of the player.